They will never stop to exchange venom in what they say and if this is anything to go by, then Malawi President Peter Mutharika and ex leader Joyce Banda will keep not seeing each other eye to eye. Mutharika has taken time out of his arduous schedule at the Commonwealth Heads of Governments Meeting in Malta to blast former President Joyce Banda saying her continued stay in foreign countries has nothing to do with victimization or retirement benefits. 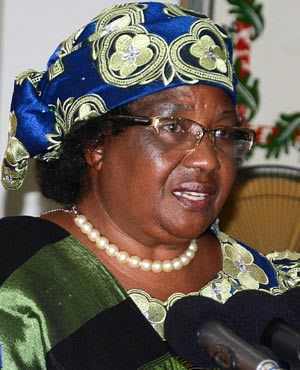 Mutharika: Joyce Banda in insincere. Last month, the former president shocked her followers when she revealed that her long anticipated return will be delayed due to serious security concerns following Malawi Government’s delay in providing her a secure and decent house. She was scheduled to arrive in Malawi on Tuesday, November 2, 2015 through Chileka Airport in Blantyre. 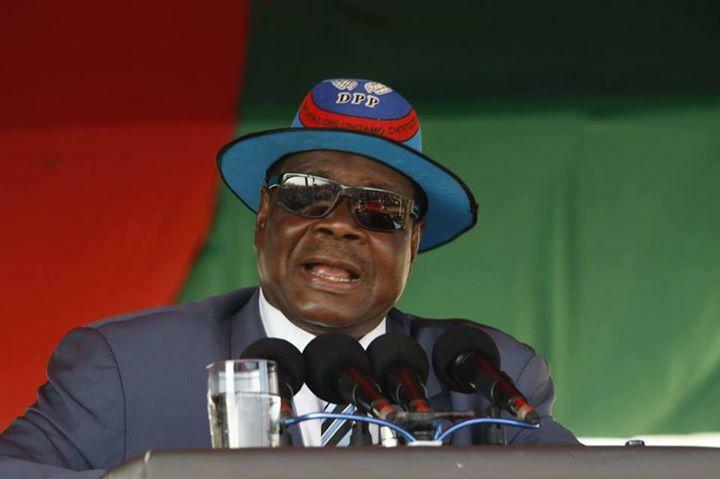 Banda who left Malawi after losing the 2014 Tripartite General Elections has twice hinted that Mutharika is her greatest political enemy and that he is after her life. But in a dramatic response, the Malawi leader has advised the former head of state to come back so that she can assist in the identification of a house of her choice. In a post on his official Facebook page, the Democratic Progressive Party (DPP) leader said claims made by Banda are insincere and aims at denting his image toward donors. “Government has duly provided to Banda the requirements of a retired President as stipulated by the President’s (Salaries and Benefits) Act,” reads part of the post. On Banda’s gratuity, Mutharika said the former president has already received a tax free lump sum amounting to K30 million comprising MK12 million and MK18 million as gratuity in her capacity as former vice president and former president, respectively. However, Mutharika admitted that the former president is yet to start receiving her monthly pension which he says is currently being processed by the Director of Pensions at the Accountant General’s office. According to Mutharika, Banda was also offered several houses to choose from in some affluent neighborhoods of the capital city but she rejected most of them. Mutharika also said Banda has been provided with seven police officers in accordance with the President’s (Salaries and Benefits) Act. Banda has consistently said she is entitled to a salary, a house in a safe and secure place, and personal security detail but claimed that all of these have not been provided since she left office in May 2014. She earlier indicated that despite government’s refusal to her claims, she has continuously requested the government to respect and uphold the rule of law by providing her the benefits. ur so stupit and fool!! Pamenepo nde ukut ukupanga ran dziko? usogoleliwu2 sufunika anthu otha mano mkamwa2!!! peter yo machendeake ukabwera mumuuze mwamva dziko likusauka chifukwa chaemweyi galuyu. Peter always kukamwa ndichoncho uzisekako kukamwa kuwopesa ntchenje zingaloweko. olo amutukwane stil peter ndi presdent wina afune asafune palibe atamusunthe ndalama zinapita ndi cashgate iye ndiye atani pomwe amalowa anapeza aswiswilì ateketa makwacha lets traye kulemekeza presdent simalawi enkha akukumana mavunto azachuma zimbabwe nanga south africa but stil amapansa ulemu ma presdent y amalawi sitizatukukadi mpaka kalekale if we contnue like ths zofuna zambiri akuyesesa nayeso ali ndi anthu omwe amamunthandizira penapake kumaganiza chikulu it can help . Panyelo pako iwe ndiwe chitsiru eti!!!! kapena akupasa chigumu? stop your senceless thinking!! Nonsense remains nonsense even if it can be a famous professor. chimunthu chanxeru uchipatsa mwai woyakhula moti chinene zanjala chili bzy kunena za mzake. Iwe IBU kulibe mavoti kumeneko kampeni ndikunja komwe? fotseki chimutu! kuyankhula kokhala ngat wavumata mbatata yotentha mkamwa ,it only reflrects me that this guy is totally poor in thinking,mzimaiyu inde kuba ndi kwake bt lets appreciate her leadership sprit.amen! Tak Bizzy,iknow sungamvese but know wat am talking about,mbuzi imadya pomwe aimangirira at the same time imamupindulira mulimi,but this guy akhuta forgets that he is there 4 somebody or nation,shame!! Kodi enanu you don’t know Peter was arrested coz amafuna kulanda dziko. If you don’t know Bingu anapita ku Rsa already dead. Munthu wanzeru umapanga zako osalimbana ndi munthu. mavuto ndiye alipoditu tinnya ndithu. JB mumufuna pazifukwa tsopano,mmalo moti mukoze zinthu muchedwa kufuna amai kuti abwere. Akabwera njala ikutha?Nanga magets, ndinthawi yanu thananazoni. Amai asiyeni apume anagwira ntchito mwaukadaulo kusiyana ndi izi. Ayosefe munadya naye mayiyu, nde abwele bas!! My fell malawianz tink wizly b4 u tok.Njala idayamba liti? :)) Nanga chifukwa chiani? Laky of Unity. Umoz suseza denga,let us unit to move Malawi 4wad. How many ppl r suffering coz of dyela? After all lamulo ligwile tchito baso. Which donor can be convinced by what you have said. These are just personal issues. Talk like the live president of Malawi. We need maize, and not Banda! Ukakhala pa mpando nkumazunza anzako zimazavuta ukatula mpandowo. Amaiyu analibe chifundo mpang’ono pomwe pom’manga nzakeyu. Lero ali nje-nje-nje kuopa kuti akalawako ku udzudzu ukulu-ukulu uja. Ayi bwerani kaya kunotu nkunja. We have to be objective on these things. Why would a person run away from her own country and talk a lot out there? It’s not to do with a house guys. Muluzi has been here in his own house. Joyce had a house and his husband is in a house. Why would she make all excuses for simple issues. Please let her come and face his critics and prove her innocence on everything that happened in her reign. Mr president please pangani zoti anthu akukondeni,mukulimbana ndi zinthu zopanda ntchito. itsnot time to look 4 somebody itstime 4 knew plans.4get that. THE MOST HIGH GOD WILL SORT OUT VERY SOON, when we are living in this life we should not limit our focus to power of man.We should know that Malawi’s population is approximately 17 million people. Our God will NOT allow the people of Malawi to continue to suffer,they have suffered for long time.Malawi is under the grace of God,within short time we are going to see the good things The Lord has prepared for His people in Malawi. koma izi nde zatikwana bwanji?! Kodi Jb Zomwe Udaba Zija Zatha? U president unkaona ngati ufumu ,ochita kukupasani makolo anu .inkinga yakho le uthanda zindaba. Wina akulandira 30thousand kwacha koma msonkho okhawo pamene wina 30mita tax free,dziko ndilokondera ili.2 akufuna nyumba amayiwa b4 upulezident amakhala kuti?. 2 funa nsima iye alibuzy nkumalimbana ndi jb mbuzi yamunthu pitala zazii! i hope that will improve malawi’s economy.anyway thats not my business. Peter iwe ndiwed mphaka why amai ?nkhani ndi nsima osati zakozo undisamale! Dziko likupsa iye busy kukangana ndi azimayi kuchigayo. koma mwati zikusonya? Look wat we have done now,, taking back our country into hands of the same Beasts.. Mulungu wakwiya nafe. Masten, zonse mumawatuma anthu kuti abe zija zatha kale? Zokubadi sizigwira ntchito bwinobwinodi eti! For Bingu So Loved Malawi That He Gave His Only Brother That Who Ever Votes For Him Shal Not Feel The Lyf Bt Have Everlasting Maluzzzz! Amai inu jst come back home nde muone kuti zikhale bwanji! Mukuopela kutali chifukwa chazimene mumkachita inu mukulamulira eti? Wanthu zake ndinyasi zonkhazonkhazo nzake pa tz pompa akuwonesa maphunziro ake koma iye ake matama ur pres sangakwere……… cashgate…….. mbofwo this mbofwo tht hehehedeeee zilikunyasalandeeeeee! Mukamalephera zithu Mr. President sinjira yabwino kukamba za m’buyo cz we going forwad not backwards. They are in cashgate that took place in last regime, dnt u kno for urself? I hope those things u r claiming needs money, doesn’t they? Julius Robert Kachery please translate that for me. Instead of solving these water,electricity,food shortages,ever increasing prices of commodities,drug shortages etc..eeeish but these idiots..? @ Josephy Mseka,ngati ukudikila kt wina abwera azakupase aid ukucedwa,kodi Mai olongololayu eaenda maiko angati kuipisa mbiri ya APM? unamva atayankhako olo kamodzi? kazigona ndi njala yakoyo koma Ife amend tinalima tikudya coz sitidikila THANDIZO LA DPP.Ulesi basi,ambiri amakonda JB paja mumamukondera ma hand out,musolva!!! Kumangoti amalawi ulesi timadikila zopasidwa,mankhwalanso tizipanga tokha?only fools think chickenshly.This govt has failed in everything.It shud only concentrate on developing this country not posing blame on JB. Mbava #1 ndiizi zili m’bomazi. A Hard Worker Doesnt Worry Much About Hunger,if We Kp On Finger Point On Our Presedent Nothng Wil Change Our Country .We Cant Read A,B,C And D While Our Budget Order reads D,C,B And A.thats poor foundation..stop blame on muthalika’s failure…be sure weneva u want to talk!! Don’t let my olive branch drop down!kkkkkkkk. I was ARRESTED just because i dressed like a DPP supporter during her leadership and i saw Mutharika kuvutika kupita ku court just bcoz of her so today muziti she deserve to have security. ukuziwalale broz..nanga kupita kunja kumakaipisa zina la jb mmalo mopanga zachitukuko..anzakeso i hope amuseka ndi nfundo zake zopepelazo kaaa. Usati amalwi tikufa ndinjala how many malwins hav died with hunger? Some where in ur statement u said clean de mess who made mess? And u expect 1yr all de mess to out.ur r an idiot u dont even know anyting in ur head.peter cant waste his energy forcusing with joyc cuz joyc is awoman and more over he defeated on election.so plz use ur head. Kawatengengeni amene mukuwadziwao mwina iwowo azayesera,koma ife ndi peter kumva kukoma ziko lomweri khaya usova mphwanga munakwera yolakwika. #willard-joseph i can spot umbili through ur broken english..ndiwedi wa dpp moti u dont know the mess bwampini is creating?go to hell nose. ndakufila audry..be wise kumaona momwe ziko likuyendela not zambuli willard yu ayi…. jacob sukuziwa kanthu mbuli yothantchito olo khomo la capital hill suliziwa iwe…peza ma link uziziwa momwe ziko limayendela…. More fire JOSEY,atombolombo amenewa akutionjeza. Oh what a pity,i don’t think everything wll work to your expectation am not sure the president can deal with each n evry problem to your satisfaction mind u our economy is so limited only if you can learn how much do we export n comparing to our imports n their effects then you will know what n how to comment on why are we facing these problems,guys tiyeni tizisiyanitsa ma nation issues ndi ndale in the first place we dont have donor support as a country so blaming z good bt nt any how,insulting one anothr like that is so barbaric n primitive ,give solutions if u hav got any. Fuel anabwela ndi jb,asowanso believe me u dpp dicksuckers.u say we r lazy, ok.so u hardworkers, provide drugs in hospitals pliz. Ungosangalala Kuti Mbuli Zina Zidakuika Pamenepo Otherwise M’bwezi Ukudya Kalongonda Kuthyolo. Kodi tidamtola kuti mkulu ameneyu so Called Petulo? Mwina Ndi Manna Akugwa Kuchoka Kumwamba Komano Tidatola Mophonyesa Malamulo Paja Amkaola Ndiye Nanga Si Awa Aolawa.